The first chilli from our balcony garden, a triumph! This is the smaller Peppino F1 type that you commonly find stuffed with delicious soft cheese. 1. I was not hungover. 2. It was 26 degrees and the sun was shining! London is glorious in the sun. 3. We harvested our first chilli from our balcony garden. This delicious little morsel had been long awaited and went into scrambled eggs (cooked by Mr G&J, I can’t take any credit for them). The smoked salmon is an optional side, but if you leave it out I’ll never speak to you again, frankly. Served with toasted Crosta & Mollica Fibrano bread (which is heavenly, get it in your face). 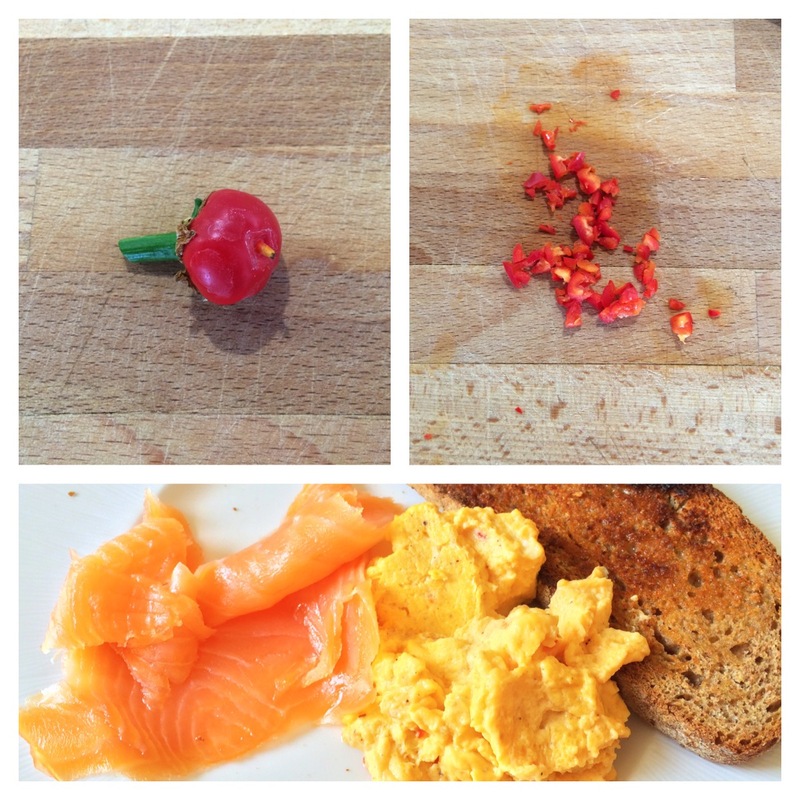 Breakfast of glory, chilli love.